Setting up a legal entity without ever touching fiat money: using Bitcoin for contributions in kind, paying your accountant or auditor. All that is possible in Zug, Switzerland. 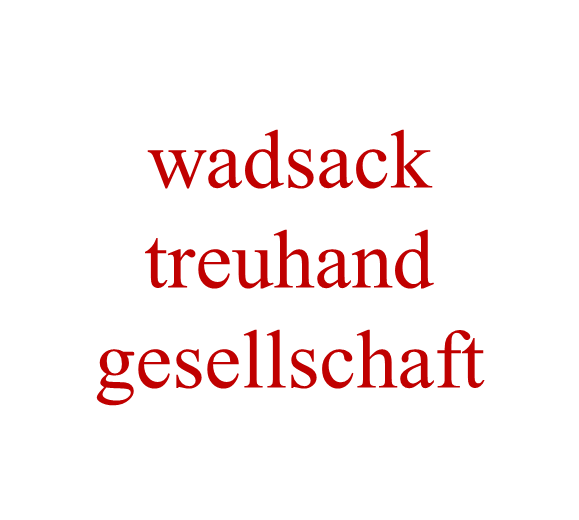 One of the first companies to offer those services for Bitcoin is our latest corporate member, wadsack treuhandgesellschaft. We believe that the combination of traditional high-quality services and new technologies are a tremendous benefit for our clients. The discussion and the careful analysis of the client’s requirements are as important to us as the conscientious albeit expeditious execution of the assignment. With our approach, we serve many clients in relationships that last for many years. The Bitcoin Association Switzerland is happy to have wadsack treuhandgesellschaft on board. We're looking forward to see more services available for Bitcoin, to make life without the need to deal with fiat money easier. Newer PostBitcoin Gold - Do we need it and if yes, how many?